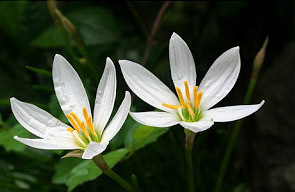 Ngải is a poisonous family of perennial flowering plants, growing from creeping rhizomes or, in drier climates, from bulbs. They have long, erect flowering stems which may be simple or branched, solid or hollow, and flattened or have a circular cross-section. The rhizomatous species usually have 3–10 basal sword-shaped leaves growing in dense clumps. The bulbous species have cylindrical, basal leaves. each other, with only one major difference. Bạch đại ngải is still in limited circulation within the Ngải community, while the Phù phấn Ngải is thought to be extinct. However, within the Ngải community, there are stirrings of whispered conversations about the appearance of the Phù phấn Ngải, back in the hands of a few very high level Ngải Masters. Phù phấn Ngải and Bạch đại ngải are highly poisonous, but with the strange ability to cure deathly illnesses via a homeopathic strategy, using poisons to cure poisons. It has even been said that the Phù phấn Ngải can also bring the dead back to life. The drawback is that, due to their highly toxic nature, only Ngải Masters of the highest caliber can locate and transplant this type of ngải, using not physical means, but rather, teleportation of the magical sort. These two types of ngải plants are only grown and kept by Ngải Masters, due to their dangerous properties, and never transferred over to the uninitiated. The more common varieties of ngải plants that are considered ‘safe’ to be handled by the common folk are much less lethal, or at the very least, safe to touch. However, as mundane as these garden-variety ngải plants are, they still have stringent requirements that, if not adhered to, will cause the plant to wilt and eventually rot away. The ngải potting soil must be taken from the mountain side. There must be, in specific measured amounts proportion to the pot and the mountain soil, four other ingredients: iron shavings, sulfur, decomposed wood chips, and sea salt. These ingredients make up the five requirements, which must be thoroughly mixed before the plant can be transplanted into the pot. For the so-called ‘garden variety ngải’, a Ngải Master simply plants the ngai into a pot and then transfers the pot over to the person who is to use the powers of the Ngải. Some of the most powerful Ngải Masters don’t even need the plant to be present. They can call forth a plant already in existance, from a distance, to come to where they are presently located and the ngải plant must obey. 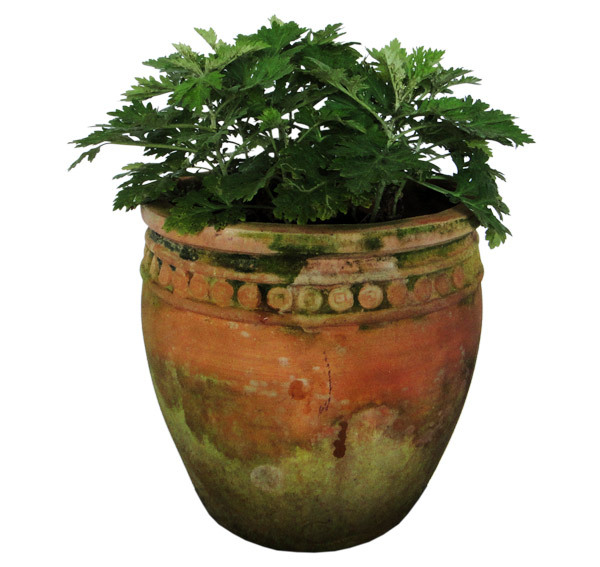 All the Master needs is ngải potting soil, either in a garden or in a pot, and within a single night, a healthy large green ngải plant can be seen growing where it is told to grow. This teleportation method is most often seen for the ‘trục ngải’ of the aforementioned Phù phấn Ngải or Bạch đại ngải. This is just the start. For the Ngải plant to exhibit various desired powers, a Ngải Master (Black Sorcerer) needs to “bỏ công trục ngải”, or expend considerable powers to call forth a spirit to enter the ngải plant. The most powerful Ngải Masters might only take one night, while less powerful Masters may spend anywhere between three to seven nights to successfully ‘trục ngải’. A ngải plant that has not yet been trục ngải will be comprise of 100% plant matter which can photosynthesize all their energy needs from the sun. Once it has been trục ngải however, half of its makeup is made of animalistic, carnivorous matter that now requires the feeding of live animal sources. The most common (and easiest to obtain) animal food source is a raw chicken egg. The quickest way to feed the plant is to crack the egg open and pour the egg, yolk and all, into the soil that nourishes the plant. If the egg is not delivered straight into the soil, it takes the plant at least a full day to empty the egg of its contents, without even the need to disturb the shell. Some Ngải Masters who are powerful enough to control the plant may need more power from the plant, which can be obtained by giving the ngải plant fresh blood from a chicken. There have been cases, however, where the Ngải Masters have lost control of the ngải plant, and serious damage was done to the Masters themselves. Methods of “bỏ công trục ngải” are not common knowledge. However, I have managed to locate a spell for the safe handling of the Bạch đại ngãi. Word of warning. Use this at your own risk. If you would like to try your hand at cultivating a Ngải Plant, it is for sale at most plant nurseries and bulb growers. Continue to this page for more information on how you can get your very own Ngải Plant.